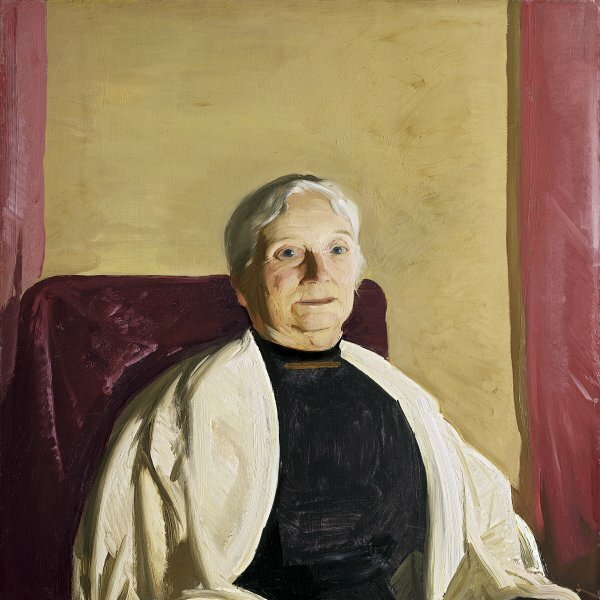 In 1904 Sloan followed Robert Henri from Philadelphia to New York. He was immediately attracted to the bustle of the city, which he began to depict in his paintings and in his series of engravings entitled City Life. The artist spent several hours every day strolling around Lower Manhattan observing what went on around him, and judging from his diary, the Madison Square fountain particularly fascinated him. A year before painting Throbbing Fountain, Madison Square he had already mentioned this fountain in his diary: “Madison Square Throbbing Fountain with men and women and children watching it and in many cases feeling its sensuous charm.” In this work, which is painted with flowing brushstrokes and thick impasto and combines fervour for realist art with the adoption of the new style of painting from France, Sloan follows the teachings of the painter Robert Henri. 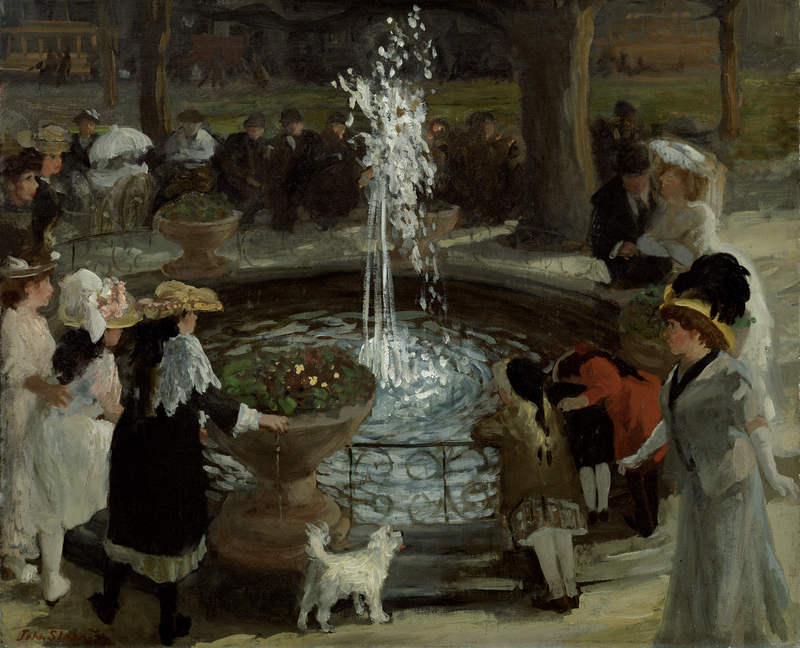 When Sloan and the other artists of Henri’s circle were turned down by the National Academy of Design’s spring exhibition in 1907, the year this work from the Thyssen-Bornemisza collection is dated, eight of them showed their work at the Macbeth Gallery in New York shortly afterwards (in 1908) in an exhibition that earned them the name The Eight. Although these artists had very different styles, they were united by the same hostility towards academic rigidity and their shared fondness for urban themes. Some of them, like Sloan himself, became involved soon afterwards in establishing the Ashcan School. Although both experiences were more revolutionary in theme than in form, they contributed to paving the way for the arrival of the avant-garde movements in America following the staging of the Armory Show in 1913.